One of the most confusing rules in basketball revolves around the act of "reaching in." 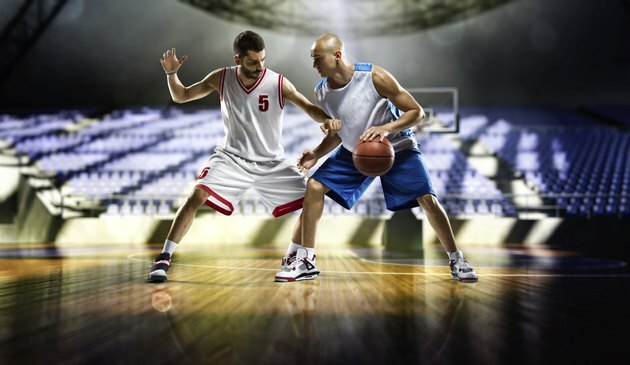 If you play or watch basketball often, you have likely heard somebody call a reach-in foul to describe a situation wherein a defensive player reaches in to attempt to steal or deflect the ball from an offensive player who has possession. This type of foul does not actually exist and is one of the biggest myths in the game of basketball. Many basketball fans assume that a "reach-in" foul is correct basketball terminology, but if you look at a basketball rule book at any level of play, you will be unable to find it. The reason is quite simply because there must be contact with another player in order for a foul to be called. A player can reach in as long as he makes no illegal contact with the player holding the ball. There are three types of defensive fouls: blocking, pushing and holding. A player who is reaching in and makes contact will be whistled for one of these three types of fouls. High school, college and professional rule books state that the hand is actually an extension of the ball and that any contact with the hand while a player is in possession of the ball is not a foul. Many referees call it as such anyway, further adding to the myth that a "reach-in" foul is an official rule.